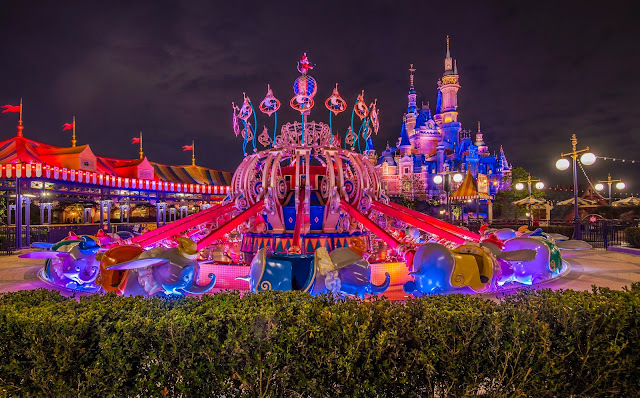 I've mentioned before that Shanghai Disneyland's Gardens of Imagination is the first time that a Magic Kingdom's hub area has been its own themed land. In Shanghai, it is massive and sprawling--its own green park space to allow for plenty of viewing for the nighttime castle show and general roaming around. But there are a couple of actual rides here. Besides the Fantasia Carousel, this part of the park is also home to Dumbo the Flying Elephant, a version of the popular Dumbo ride that's pretty much identical to what's found in Anaheim and Florida (but just one vs Orlando's dueling pair). During the day, it accommodates families and smiling children eager to fly. By night, it's a peaceful subject in the shadow of the grand Enchanted Storybook Castle. 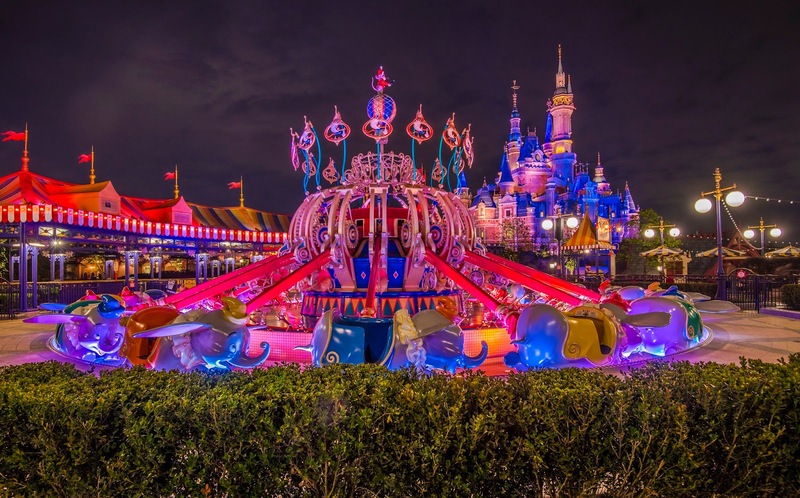 Shanghai Disneyland's Dumbo attraction lies outside of Fantasyland, in the Gardens of Imagination.